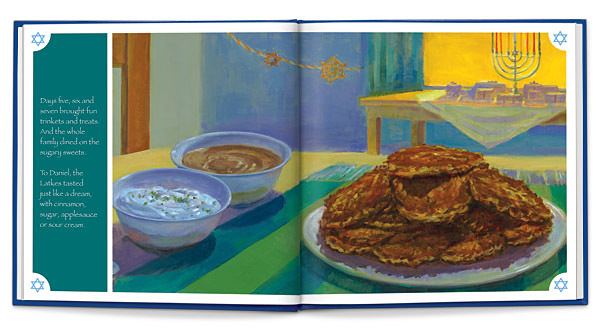 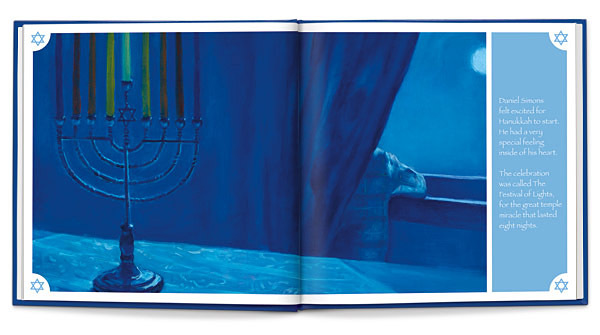 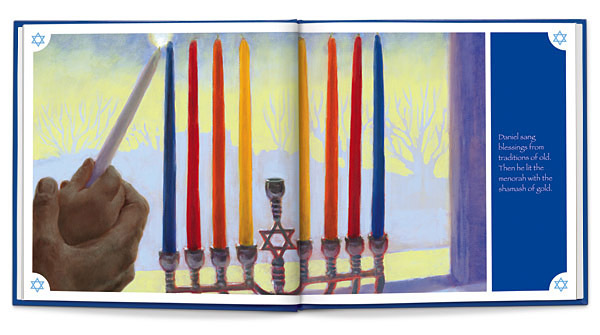 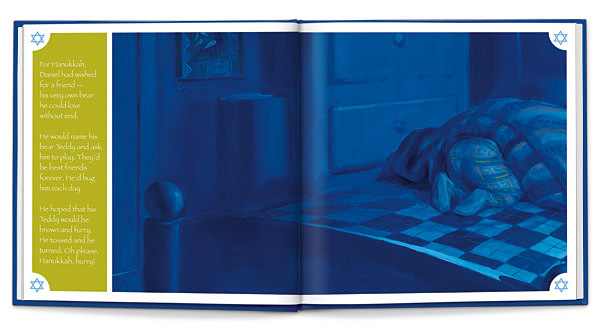 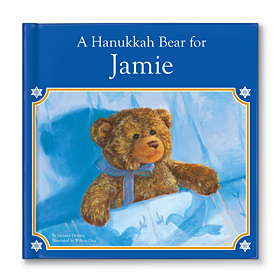 In this beautifully illustrated story in which your child celebrates the eight days of Hanukkah, the child lights the Menorah, plays with a Dreidel, enjoys chocolate Gelt and Latkes, and on day eight receives the gift of a cuddly bear. 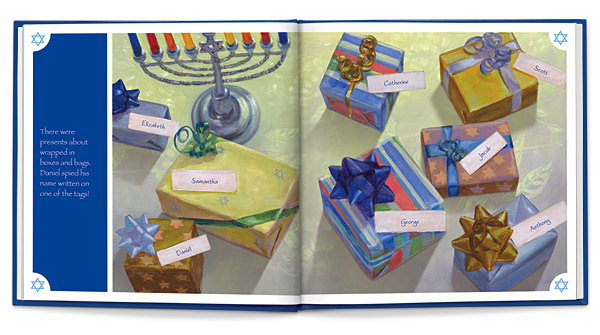 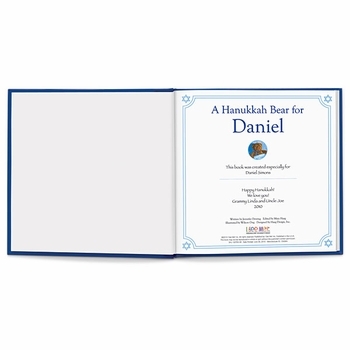 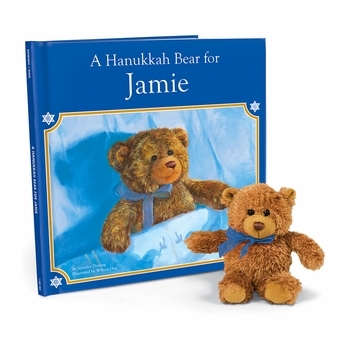 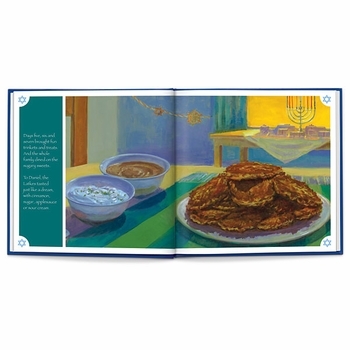 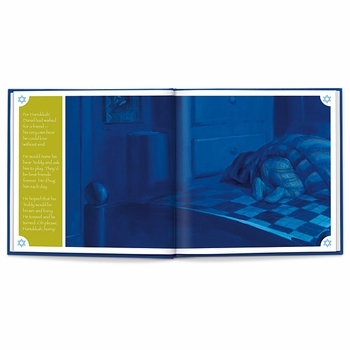 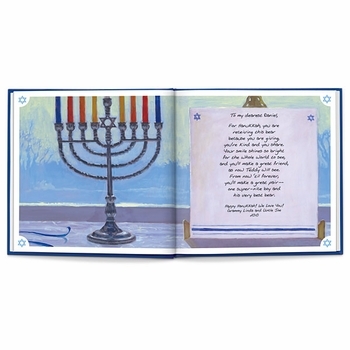 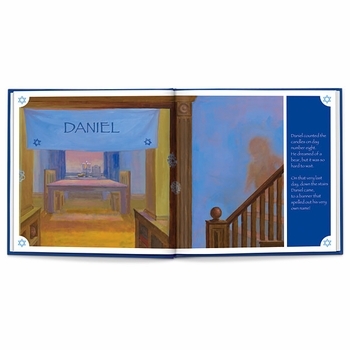 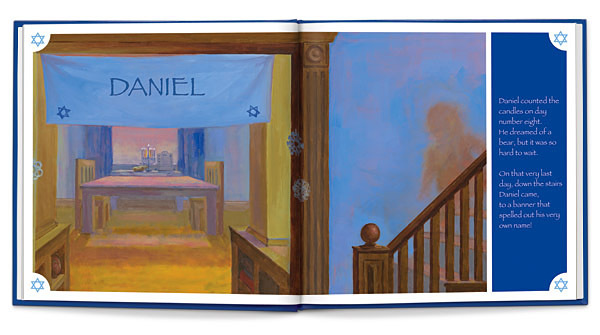 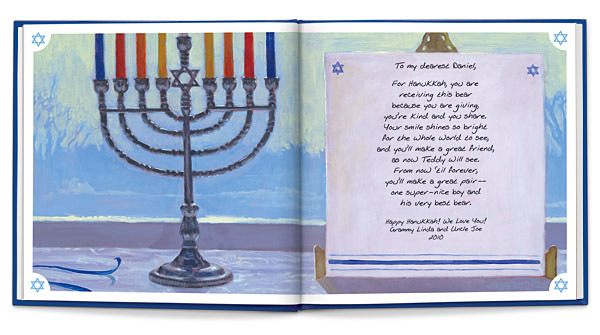 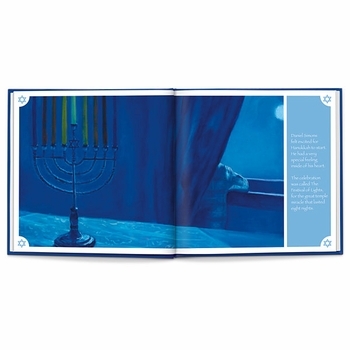 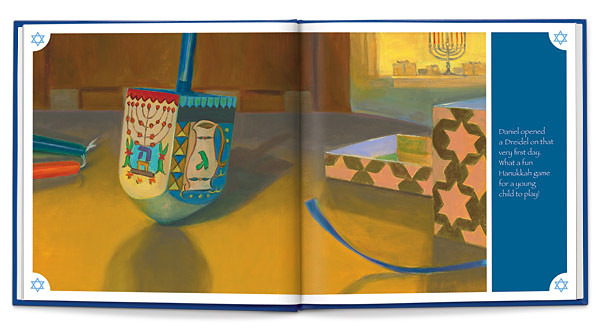 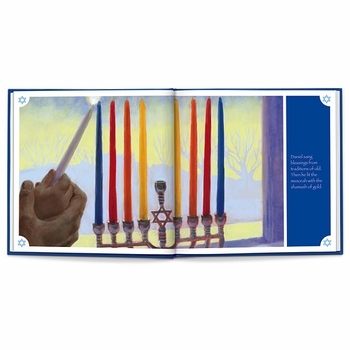 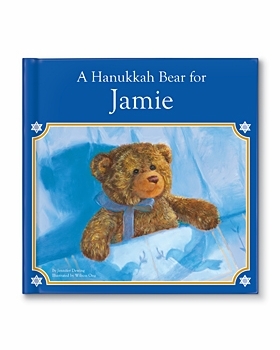 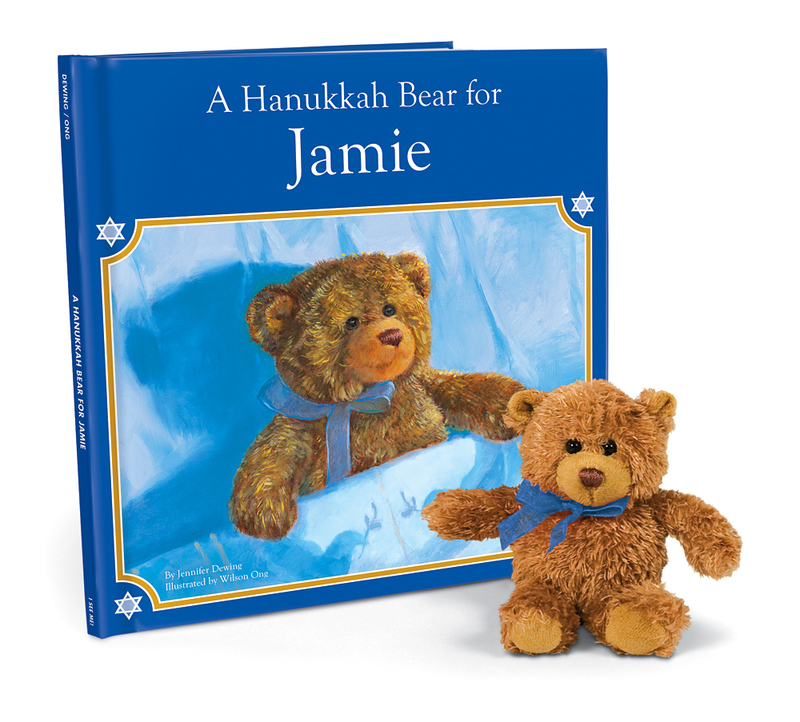 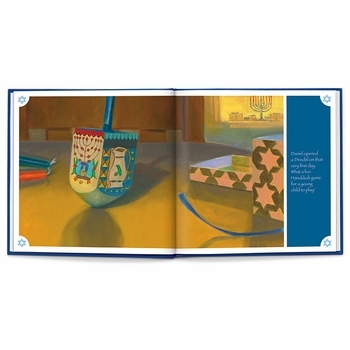 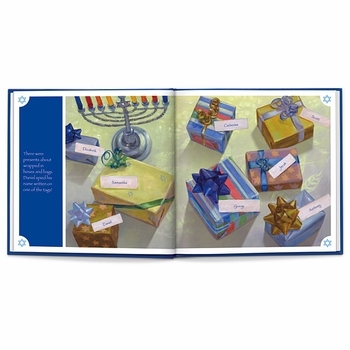 The child's name is incorporated on the book cover and throughout the story, and the child's family members are included on an illustration of gift tags on presents around the menorah. 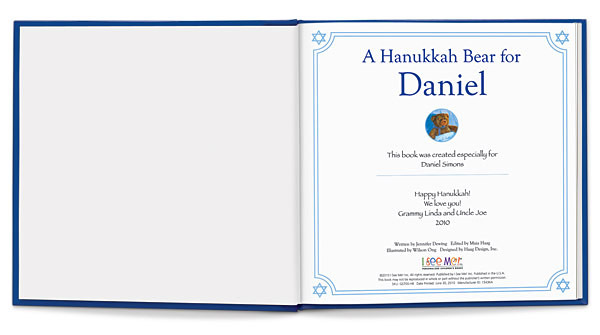 10" x 10" hardcover; 26 pages; for boys and girls ages 0-8.